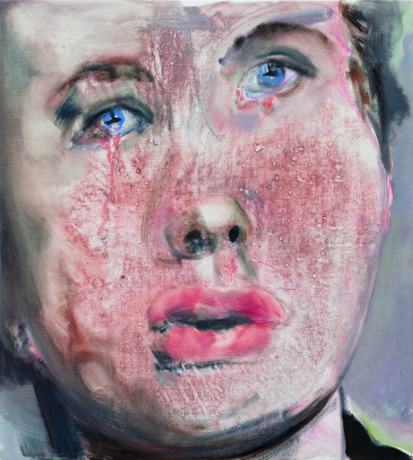 MARLENE DUMAS, For Whom the Bell Tolls, 2008. 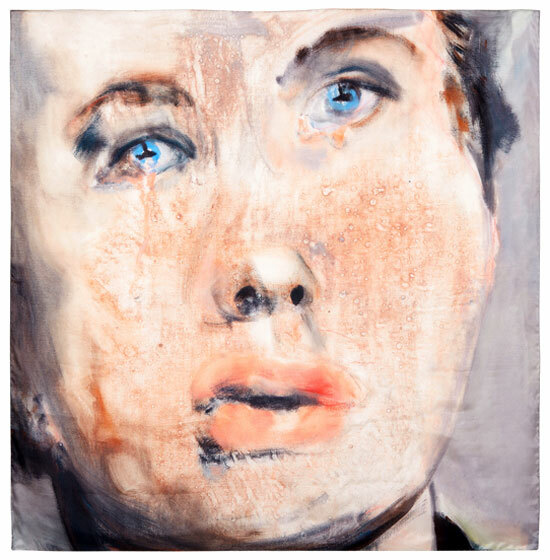 In this painting – here in print – Marlene Dumas shows interest in emotional expressions that are often represented in cinema, and rarely in contemporary painting. For this she applied a variety of drip painting techniques and used a film still of Ingrid Bergman experiencing sorrow and mourning. 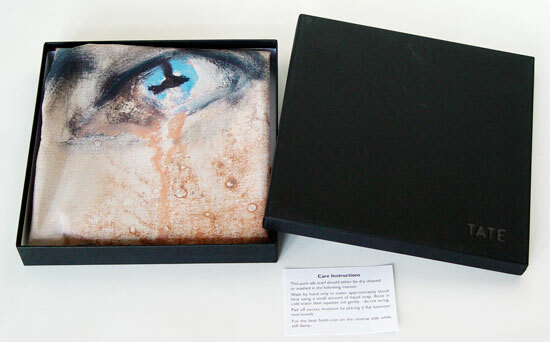 The two emblematic black bird images in the eyes add an extra eery and dramatic touch to it all. This item is wrapped in a linen box with a loose piece of paper with instructions for how to clean.